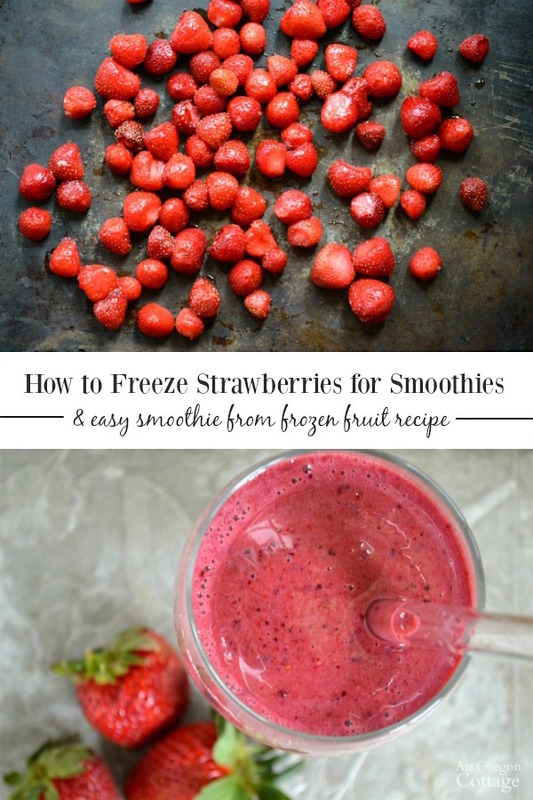 Freezing strawberries and other berries for smoothies and other recipes is SO easy – and it’s wonderful to have frozen berries throughout the winter for fresh berry smoothies any time! 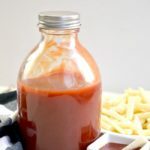 Preserving food through freezing is one of my favorite ways to save food for later. 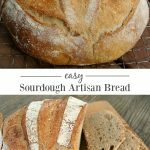 Not only is it easy, but it maintains the food at it’s freshest when it has the highest vitamin and food value. So while I like to can things like salsa or chutney that use produce, to preserve individual vegetables like green beans, snap peas, and corn I prefer freezing. 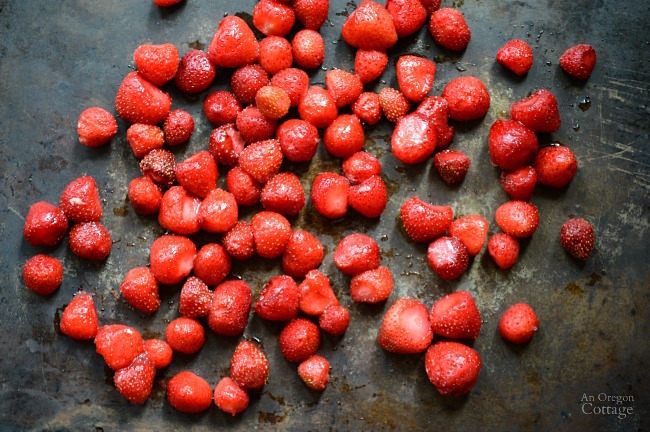 What about fruits like berries – can you freeze strawberries? Fruits like strawberries are also super easy to freeze and are actually the preferred ways to preserve the fresh produce. I tend to make jams, sauces, or other things that I would like first and then to freeze the rest to be able to use in recipes like Big Crumb Berry Crisp and the smoothie below. Of course we eat plenty of the fruit fresh when it’s in season – whether it’s from our yard, a U-pick, or farmer’s market – but when we’ve had our fill or when it’s mainly the smaller later-season berries, my thoughts move to freezing. 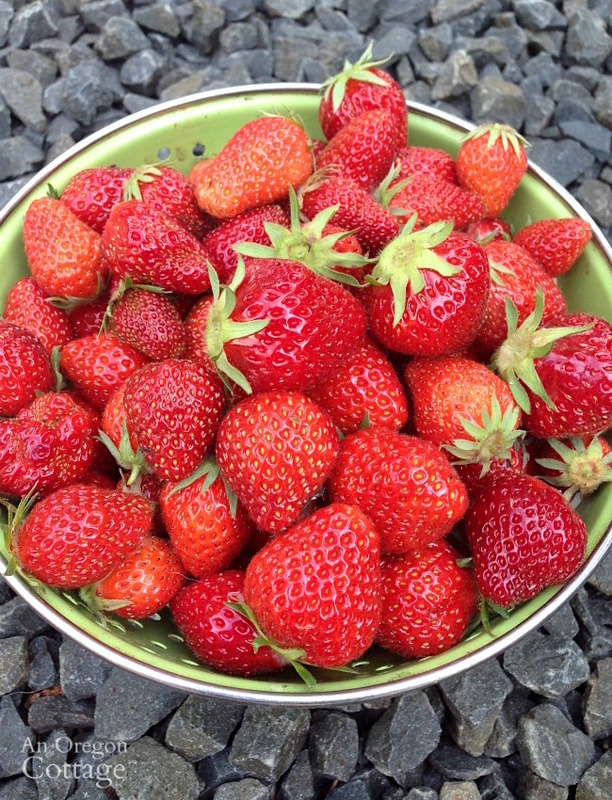 If you grow strawberries you know that late-season berries are often smaller and can be a bit misshapen. And when picking from your own patch, you’ll also find fewer and fewer berries as the season winds down. But since we spent all the time planting and maintaining – and even more if they’re organic – we don’t want to throw even one small, oddly shaped berry away. Freezing is the answer! You can freeze any amount of berries, no matter the amount that your patch is producing, and add the frozen berries to a freezer container until it’s full. Freezing also works great for the slightly overripe berries that you forgot about or weren’t able to get out to pick sooner. 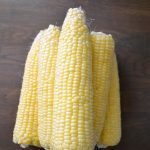 Basically, freezing is the answer to wasting less in your kitchen (and garden), which is a very good thing! Hull them (i.e., cut the green tops off). Choose if you want to freeze whole or sliced. Sometimes you may want to do both – leave small berries whole and cut larger berries into about the same size as the small berries. 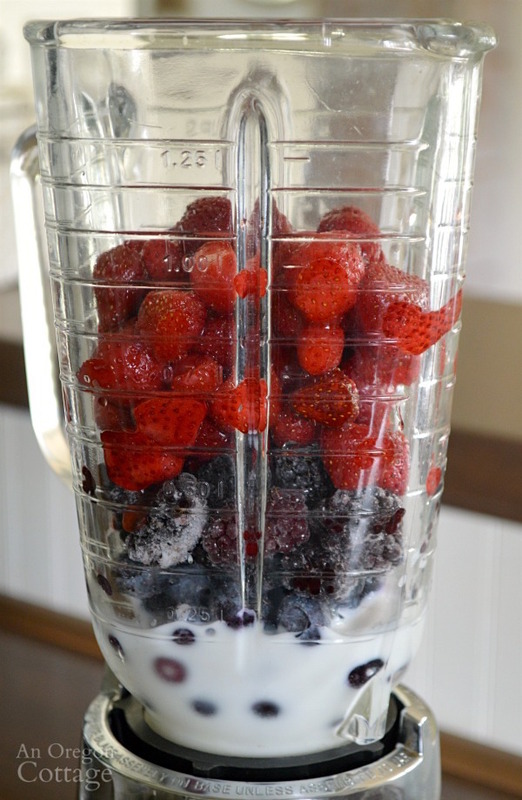 For smoothies, this makes it easier to blend when frozen. Lay the berries on a cookie sheet in a single layer. 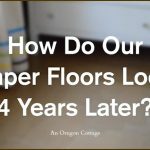 Transfer the sheet to a freezer and freeze until solid, about 24 hours. When the berries are frozen, scoop them up and store in a freezer bag labeled with the contents and date (TIP: you don’t want to skip labeling, trust me – frozen foods can seem very similar to many other things). TIP: Use a straw or sealer to remove as much air as possible for the best quality storage. And that’s it! All shapes, sizes, and ripeness of berries are welcome in the freezer where they’ll last for a year or more (TIP: it’s totally up to you when to eat them – they don’t go ‘bad,’ they just aren’t as good quality and may have more ice crystals). Wondering about Freezing Blackberries, Raspberries and Blueberries? These steps are the same to freeze any berries – you just don’t have to hull or do any other prep work besides washing (if needed) for blackberries, raspberries, or blueberries, which make them even easier to freeze! We eat our frozen berries right out of the bag (it’s like nature’s sorbet!) and I add them with other berries to individual berry crisps (with yummy big-crumb topping!). But our favorite way to use them, by far, is for smoothies. 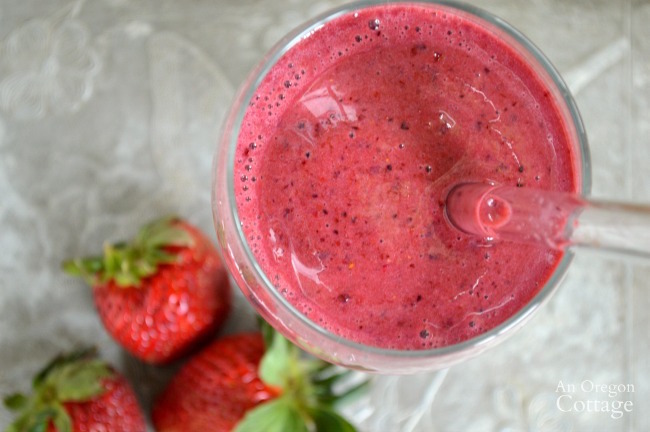 Smoothies are SO easy when you start with frozen fruit – no ice needed. Did you know if you start with frozen fruit you don’t need to add ice in smoothies? You also don’t need the (dreaded for me) banana or other things to thicken it up – I am not a banana fan so all the banana-based smoothies are out for me (and believe me, there is NO way to cover up that flavor…). Here’s our family’s favorite recipe to make an ice-less, banana-less smoothie – and those tiny, misshapen, and overripe berries? Who cares! It’s all good in here. 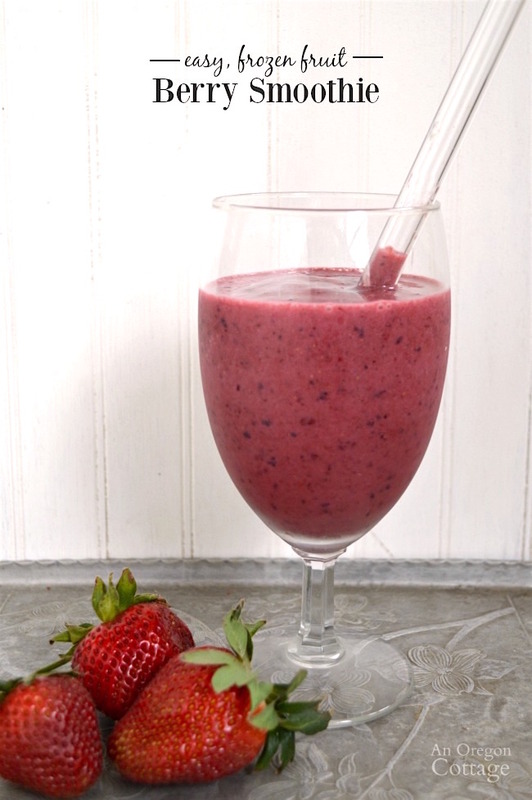 Click the arrow for the full Berry Smoothie recipe (with print options)! Hi Jami, wanted to add that I also freeze the way you do but use a vacuum sealer and they last past a year if not found in time to eat before. However, when I freeze, usually I have purchased a crate or more so I do layers in a 13×9 pan or bigger. Sheet of Saran wrap (i.e. ), layer of berries, sheet of plastic wrap, layer of berries, etc. until pan is very full & finish with sheet of wrap. When frozen, usually you can lift a sheet off and work berries into what ever container you have chosen to use. Naturally it takes longer to all freeze but also can do more at one time. Also I have juiced my really seedy berries with a sieve and make juicy pulp cubes (in ice cube trays) for smoothies. You may have mentioned all of this and I missed it. If so, I apologize for repetition. I so enjoy your postings and info. That’s really a good idea for dealing with a lot of berries at once without taking up so much room, Nora – thank you! Just had a banana smoothie that I made using a frozen banana. I freeze my bananas when I see they’re getting soft and I won’t get to eat them before they are inedible. Did this all through the summer when I had an abundance of strawberries. Anytime I have frozen strawberries, they come out tasting funky. Any other fruit I freeze is fine but not strawberries. They have this musky funky taste. I only get organic fruit and I’ve tested this problem on fresh from the farmer’s market, store bought and home grown. Any idea why this is? Gee, Katherine, I haven’t noticed that, but I mainly use them in smoothies and things – we don’t eat them plain. I do know that when I slice them and mix with a sprinkling of sugar they are good to eat partially frozen. Sugar helps preserve things, so maybe that would be something to try? I freeze bananas in chunks and keep them in storage baggies in the freezer. I add them to sweeten up the smoothies for the kids. If I don’t have them, I sweeten it with preserves.